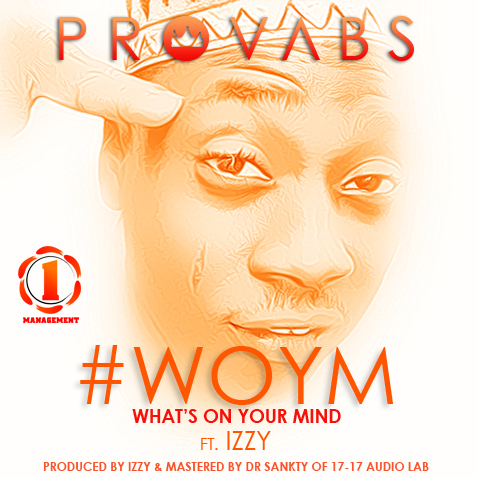 NEA & Crystal Awards Nominee 2014 Provabs has teamed up with United States based Gospel phenomena and Crystal Awards Nominee for the diaspora Izzy on a fresh tune titled #WOYM “What’s on your mind”. The song reflects on the bible verse “As a man thinketh in His heart, so is He”. It Clarifies the power of the mind and the ability to create whatever it conceives. When asked why he gave the song such a title #WOYM? 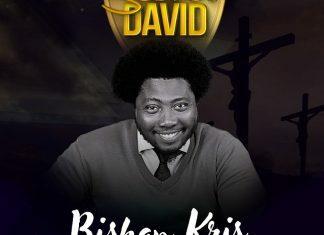 Provabs shared the power of our mind in the reality of our destinies. I Was hanging out with a friend and I saw were she jotted down this very words..”Watch your thoughts, they become words, watch your words,they become actions,watch your actions,they become habits, watch your habits, they become character..and watch your character, it becomes your destiny”. This jottings from my friend gave me a revelation and taught me that our destinies are in our hands and would be controlled first,by our thought pattern…thus I decided to share what has blessed me with you. Mix and Mastering: Dr Sankty of 17-17 AudioLab. Remember o!that you’re a new creation,Comot from your mind all the dirty dirty wey you don dey do before. The pleasure keeps holding you down like a mold. The thoughts & the deed. Let it transform you into His Kid. That is my gain,flushing those dirty thoughts down in a drain. For more,its time that you let Him in,Open the door. It all begins in your mind. Never forget that.